Here is a round-up of some of the cases at Blackpool Magistrates Court from November 2. A man accused of breaching a criminal behaviour order by entering Blackpool’s Abingdon Street failed to attend court. 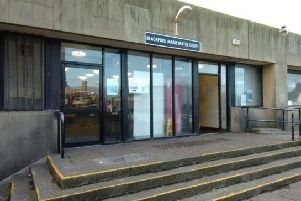 Colin Clapp, 31, of Cheltenham Road, North Shore, had a warrant without bail issued for his arrest by Blackpool magistrates. A man accused of driving a Mercedes in Lytham while disqualified without insurance has been put on the wanted list. Wayne Jones, 39, of Bannister Street, Lytham, had a warrant without bail issued for his arrest. Two Kirkham teenagers were caught selling DVDs they had stolen from a shop. Robert Aspinall, a 19-year-old business course student, and Paul Ashcroft, 19, both of Fylde Street, pleaded guilty to theft. Pam Smith, prosecuting, said Aspinall was seen taking seven DVDs and Ashcroft, one DVD, from the Blackpool branch of Primark on October 17 about 2pm. At the time of the offence, Ashcroft was on a suspended prison sentence for an offence of burglary. Steven Townley, defending, said Aspinall had stolen the discs to help out his friend Ashcroft because he had no money and was homeless. Aspinall was sentenced to 20 hours at an attendance centre and ordered to pay £85 victims’ surcharge by Blackpool magistrates. Ashcroft was bailed to appear at Preston Crown Court on November 30 for sentence. A man who said he had never had a drink before hurled vile abuse at police officers and was arrested after having some alcohol. Mark Williams threatened to spit in police officers eyeballs, bite their noses and give them HIV and Hepatitis C, the court heard. His behaviour was so appalling, officers had to wear protective clothing and in the end were forced to use a stun-gun on him to bring him under control. Williams, 41, of Rawcliffe Street, South Shore, pleaded guilty to being drunk and disorderly. He was given an 18-month conditional discharge and ordered to pay £85 costs with £20 victims’ surcharge by magistrates. Pam Smith, prosecuting, said police were dealing with an incident when Williams came up shouting, “There are smack heads in there,” on October 15 at 7.30pm. He then became abusive telling female officers he would burgle their homes and give them infectious diseases. In the police van and at the station he was spitting and kicking out. At the time of the offence he was on licence from prison. A 20-year-old Blackpool man has been remanded in custody charged with malicious wounding. Adam Shuttleworth, of Lonsdale Road, is also charged with theft from the same person. He is alleged to have stolen a mobile phone, three watches and two gold rings valued at £5,000. District Judge James Hatton remanded Shuttleworth in custody pending his appearance at Preston Crown Court on November 30. A man alleged to have hit his victim so hard that he had to have three metal plates inserted in his jaw has appeared at court. Jamie Turner, 31, of Scorton Avenue,Blackpool was granted bail. Turner denied the charge and was sent for trial at Preston Crown Court where he will appear on November 30. A man has denied being drunk and disorderly outside Blackpool Victoria Hospital. Joseph Seeley, 47, of Linden Place, Blackpool, was bailed by Magistrates until December 22 when his trial will take place. Police were called after a couple were heard arguing in a caravan at a holiday village in Wrea Green. Angela McGuire was arrested after she used bad language in front of a police officer as her female partner prepared to leave. McGuire, a supermarket worker, 47, of Northfield Road, Bootle, pleaded guilty to breach of the peace and was bound over in the sum of £200 for 12 months by Blackpool magistrates. Pam Smith, prosecuting, said police were called to Ribby Hall Holiday Village to a report of two women arguing on October 30 at 10.20pm. McGuire, who was drunk, was in the bedroom of a caravan and told police she and her partner had argued but everything was now okay. Her partner was collecting her belongings ready to go to the train station. McGuire started calling to her and another row started. The court heard the defendant was told to settle down but was rude and aggressive to the officer. Steven Townley, defending, said the couple, who had been staying in the caravan for two days, had been drinking. McGuire had not understood awhy the police should be called to the argument. A man found guilty of exposing himself in the public toilets at Blackpool’s town centre Mc Donalds store has had sentence on him delayed. Blckpool Magistrates remanded 40-year-old Leighton Faith of Carshalton Road,North Shore in custody pending the preparation of pre sentence reports on him by probation. Faith wil next appear before the court on November 18. A woman had a case of assault she faced dismissed by a court after the man accusing her – a circus fire eater – failed to give evidence. The main prosecution witness was due to give evidence for the prosecution against 45-year-old Andrea Fishwick of Midgeland Road, Marton. Fishwick was accused of assaulting him more than 12 months ago. At the fifth hearing of the case, magistrates ruled it should not go ahead after the prosecution said that despite phone calls, two witnesses had failed to attend.